Next Gen Mission Atlanta delegates volunteer and connect with at-risk youth. The 2017 ORT America Next Gen Mission participants came from Georgia, Illinois, Ohio, Michigan, Florida, New York and California. 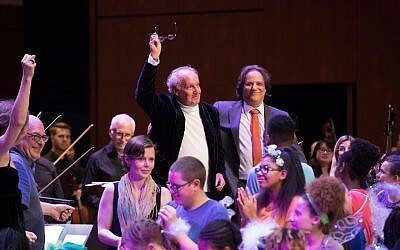 My encounter with ORT began when I volunteered for its Honey From the Heart fundraiser. I looked forward to the event every year, not so much because I enjoyed packing and labeling hundreds of boxes of honey, but because of the bonding with other volunteers who believe in investing in Jewish values in ORT schools in 35 countries. Years later, my next engagement with ORT involved interviewing World ORT’s first female director in Iran, Parvine Motamed, in Farsi this winter for the AJT. That interview, combined with my enthusiasm for Israel and ORT, led me to join the Next Gen Mission. 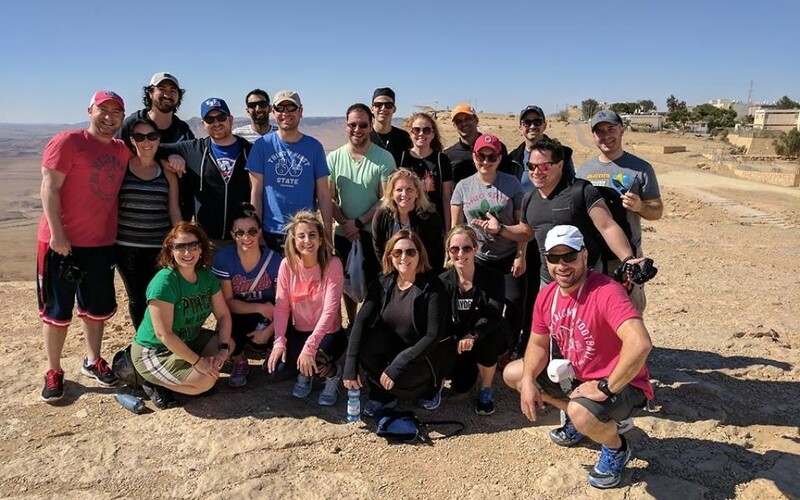 Atlanta delegates Adam Hirsch, Sarah Moosazadeh and Ben Rosenberg share a moment before rappeling down the Ramon Crater. The Atlanta delegation, composed of Goza Tequila Co-Founder Creative Director Adam Hirsch, real estate agent Ben Rosenberg and me, met 16 other mission participants from Illinois, Michigan, Ohio, Florida, New York and California at Ben Gurion Airport. Before spending the night at Kibbutz Lavi, we had dinner with former ORT America President Shelley Fagel and assistant national campaign director Allison Halpern at Makom B’Sejera in Ilaniya, which was home to the first Jewish pioneers in the lower Galilee, including David Ben-Gurion. Our first full day in Israel took us to the Atlanta-sponsored Hodayot youth village in the lower Galilee, where we met with World ORT Kadima Mada CEO Avi Ganon, ORT’s head in Israel, and Chief Development Officer Avital Govrin. We met with students and toured facilities renovated with Atlanta donations, including a new science lab, a student lounge and an empowerment center that is in the works. A plaque ceremony dedicated the Joe Cohen Family Dining Hall, named for an Atlantan who was ORT America president and sponsored by Phyllis, Delilah and Steven Cohen and Jodi and Shon Mekyten. A separate plaque ceremony dedicated the empowerment center in memory of Jane and Harold Yudelson, Rosenberg’s grandparents. We also toured the greenhouse, horse stable and cafeteria and made mishloach manot (Purim baskets filled with candy) for children at the Poriya hospital in Tiberias. We traveled to Kiryat Yam, where we saw the water sports center, Yitzhak Rabin High School and Mada Park, before going to Tel Aviv, where I visited my aunt and two of my four cousins in Hod Hasharon. I met one of my cousins and her husband for the first time after missing their recent wedding. As we ate a traditional Persian dish of quince, chicken and plums, we spoke in Hebrew, English and Farsi about life in Israel, family gossip and politics. It was bittersweet to leave my aunt and cousins after only a few hours, but there was much to see and do. After Tel Aviv, the mission continued to explore World ORT Kadima Mada (Science Journey) schools by visiting the Kfar Silver youth village, then received a geopolitical briefing in Yad Mordechai near the Gaza Strip and had a brief stay in Be’er Sheva, where we experienced the Future Learning Space classroom at the Tuviyahu school and received a quick tour of the technical college. 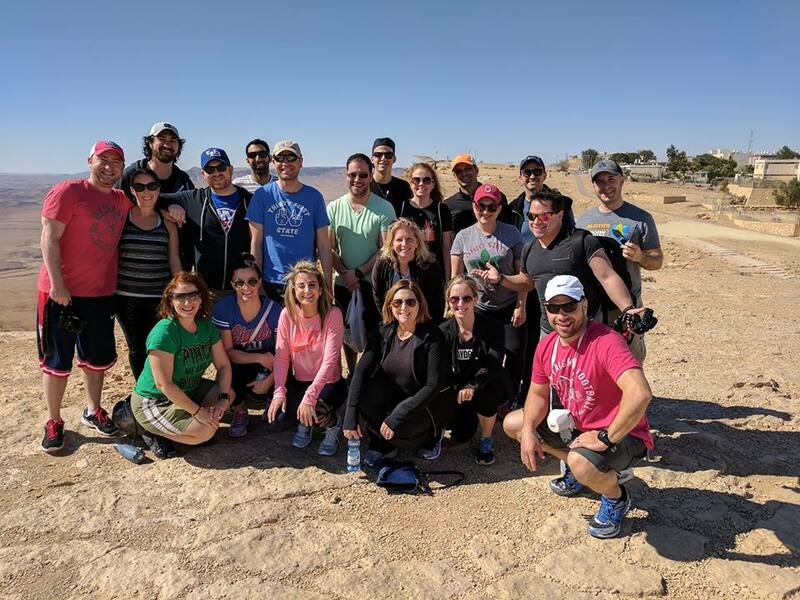 Between school visits, we drove to Mitzpe Ramon, where we toured the Ramon Visitor Center, named for Israel’s first astronaut, Ilan Ramon, tackled a few team-building activities and rappelled down the cliffs of the Ramon Crater. We arrived in Jerusalem for a security briefing from Brig. Gen. Shalom Harari and visited the new Holocaust museum at Yad Vashem. We had time to hit the Machane Yehuda Market as Israelis prepared for Shabbat, then went to the Kotel. 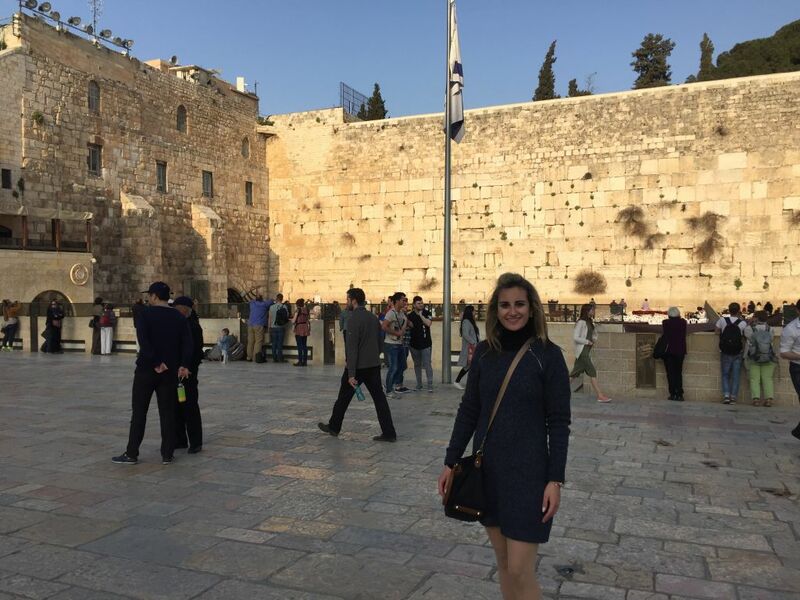 AJT reporter Sarah Moosazadeh visits the Kotel. 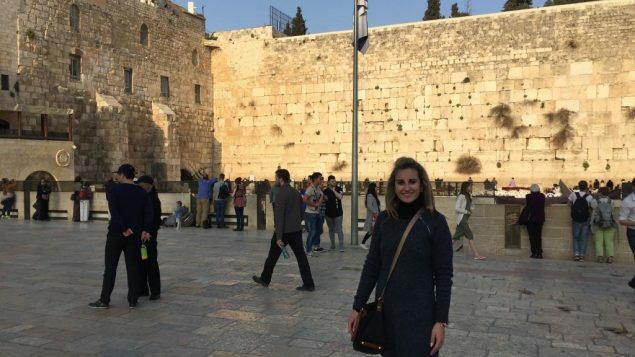 I had seldom felt a spiritual connection when visiting the Western Wall, but this time it was different. As a little girl, I used to peek over the wall separating the men and women at our synagogue, and I decided to continue the tradition. While looking through the dividers, my eyes shifted toward Israeli World ORT alum Matan Levi, who was praying with closed eyes and a hand against the wall. In that moment I understood what the state of Israel symbolizes for its citizens, as well as the value of Jewish identity. During our last night in Israel, we enjoyed dinner with Ganon and Govrin and shared our trip experiences and ideas to increase awareness of ORT. Most students at Israel’s ORT schools come from the periphery in the north or south and have low socio-economic status. Many are from dysfunctional families. ORT schools such as Hodayot provide a learning environment for the students to attain success in Israeli society. Each student we met was appreciative of the opportunities ORT provides and was happy to build bonds and learn skills to help keep Israel on the cutting edge of technology and science. The ORT America Next Gen Mission exceeded my expectations. I was surprised by how much Israel has grown and by the abundance of Israeli warmth around every corner.